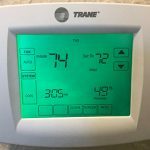 The Benefits of Annual HVAC Maintenance in Tampa, FL | Kenny's Air Conditioning & Heating Services, Inc.
Save on utility bills: Paying your heating and cooling bill each month can feel like a bummer, especially if your unit isn’t newer and energy efficient. Though the best way to save money is to upgrade to a new energy efficient model, investing in annual maintenance can help reduce your monthly bill! Each spring, a professional will clean and tune up your unit to ensure that it’s running at optimum efficiency throughout the season. Prevent breakdowns: It’d be nice if appliances around the house never broke down and worked as they should for their whole lifespan. Unfortunately, that’s not the case, especially when it comes to HVAC systems. The good news is that annual maintenance can prevent those breakdowns from happening. During routine maintenance, your service technician will identify and repair anything that looks like it could be a problem during the season, so you shouldn’t have to worry about a sudden breakdown. Cheaper repairs: Unfortunately, breakdowns do occur from time to time, even if you have your unit maintained each year. The good news is that those repairs will be less expensive if your unit was serviced earlier in the season. This is because the problem is less likely to be a catastrophic failure that necessitates hours of labor and tons of brand-new parts. Prolong lifespan: Everyone wants their HVAC system to last for as long as possible. After all, nobody wants to pay for a new AC every couple of years. You can prolong your system’s lifespan by just giving us a call to perform routine maintenance each year. Your system will run like it’s brand new with a little TLC from a professional HVAC technician. Safer operation: HVAC systems aren’t necessarily the safest appliances in your home. Furnaces can emit dangerous carbon monoxide gas, and air conditioners can overheat and start fires. You can help ensure your appliances operate as safely as possible by calling us for an inspection each year. Our pros will take a look at your unit and let you know if anything’s amiss that could lead to a safety hazard. If there is something wrong, we can either fix it or replace your unit to ensure everyone is safe and sound. Retain your warranty: It’s nice to know that your HVAC system’s warranty covers you if anything goes wrong with it, but make sure you read the fine print! Many warranties become void if the unit isn’t serviced by a certified professional each year. Summer will be here before we know it, which means you’ll soon need to run your AC around the clock. Be sure to call Kenny’s Air Conditioning & Heating Services, Inc. soon to schedule HVAC maintenance in Tampa, FL and ensure your unit is up to the task of running day and night without any issues.